Even though it is cold outside, there are still many Pickle Stops to discover! Here are the remaining clues and some fun pickle photographs from our archive. 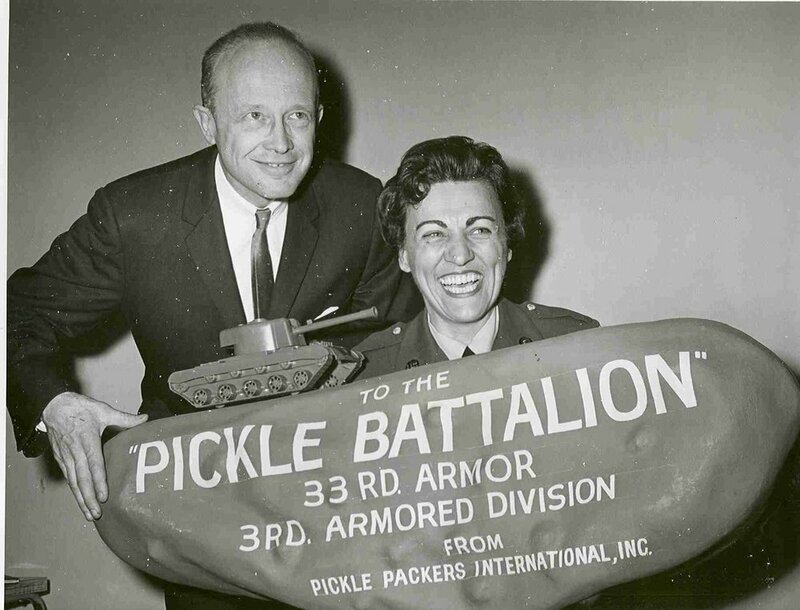 1) How many pickles could a pickle promoter, promote if a pickle promoter could promote pickles? Solve this clue and find multiple pickles where history happens. 2) Is it too wild to suggest a sweet pickle macaroon? 3) Sushi boats and signature cocktails? Sake it to me! 4)Used to be a blacksmith shop around here, but this restaurant is a fine place for some baby pickles on your meat and cheese board. 5) Good luck keeping your mind on the prize when you’re surrounded by this many sweet diversions. But don’t let your search fizzle out, there’s a pickle here! 6)We can think of worse places to search forever for a pickle. 7) "Top o’ the morning!” is a fine time to search for a pickle here! 8)Not sure if the object of your quest is in our Trophy Room, but it’s as good a place to start looking as any. 9) We're the GENUINE DILL -- five-star treatment for your hair, nails, face and body. And we're the KOSHER DILL -- a MIX of science and art to give custom beauty results. You'll be PICKLED pink! Plus we provide wedding services -- and not to forget PETER PIPER -- men's services, too. So stop by, we'll PRESERVE a place for you. 10)A Chicago Great Western Train once ran through my doors. 11) Being around for 115 years it has gone by many names such as Anderson’s, but today in this 57 year old building it is the best place to look for a pickle is at the bottom of the kitchen sink! 13) Stop by this pickle stop to learn how to pickle and preserve, how to cook with and how to grow pickles! Our hidden pickle is behind glass, but not in a jar! 14) This building with gorgeous river views has all the recreational offerings for you. Award winning parks and facilities are on display, take a selfie with the pickle and be on your way. 15) Find a place that uses the natural energy of crystals to help you on your #PickleTheTown journey. 16)Oh fudge! 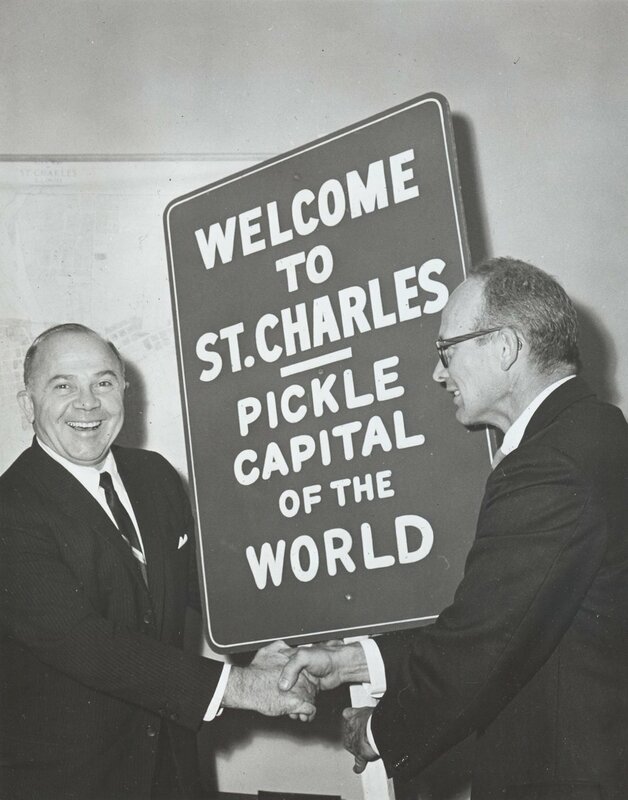 This place is so new no one will suspect it of having a pickle. 17) Everyone knows a proper Bloody Mary includes a pickle, right Abby? 18) A pickle can be found at the building designed by the architect that was inspired by spiders. 19) Maybe their motto out to be “It’s what you’re searching for tonight”? 20) Brush in hand, what inspires you more – the pickle or the Pinot? 21) If you’re heading South for dinner, we’re the first on First! 22) Ask for “Gherkin Green” for your next manicure here and all your friends will be agape! 23) Overdo the bread and butter pickle chips last night? Get your chic on here before you head to the gym! 24) Here’s just the place to supplement your caffeine-free pickle, don’t look east of the river, we’re on the west side now! 25)"Here we are known for doing 'custom-made' work. Each day we dig out tiny caves and store gold or silver in them. We do everything from building bridges to making crowns. Sooner or later everybody needs our help, but most are afraid to let us help them." 26) Somewhere near Colonial you'll pass a tin cup, And therein lies the treasure. 27) Between yoga shaping & teens a-vaping, Is style that's beyond measure. 28) It's part of our history and in our name, But a beard is not required. 29)Our Foosball table is ready to be played, K-cups to get you wired. 30) You can sit to play a game of war, On a space that's eight-by-eight. 31) In the dungeon beneath the castle's floor, The pickle lies in wait. 32) Don’t fret, this is where you might hear a tune as your next clue! 33)If you're planning for the future or need help preparing for the unexpected, this gentleman's name is the place to go. 34) We’re your one stop shop for all of your pickle printing needs. 35)Before the Arcada I was the only place in town that hosted plays and more. 36) Find the Red, White, and Blue on Avenue Two. 37) Rumor has it this was originally going to be called the Tin Pickle Theater. No, seriously! 38) Find this pickle where the Railway Express office used to be located. 39) Now find the freight elevator in the Railway Express building. 41) This USED to be a bestseller by Sandra Dallas. 42)Everybody’s favorite emoji is the “dancing pickle”. Stop by here and learn how to pickle dance properly! 43) The last place you’d look for a pickle is in a cupcake, right? Wrong! 45) Follow your nose to somewhere full of eclectic garden choices. You’ll find the object of your desire amidst the Flowers there. 47) A great place to search for a pickle along the river calls upon Ira Minard and Reed Ferson for inspiration for their name.